Hello again. 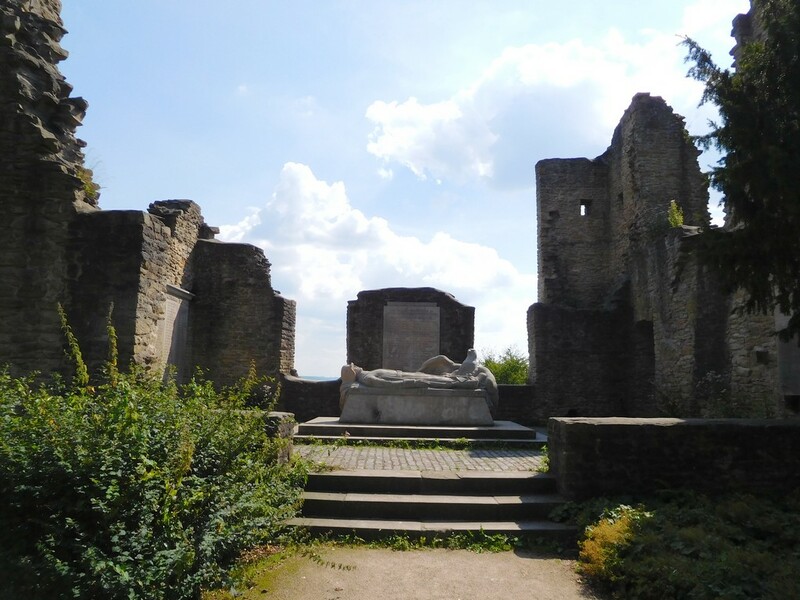 Yesterday, I went to the tower “Vincketurm“, a WWl war memorial, and nearby ruins of the castle “Hohensyburg” in Dortmund-Syburg, NRW. 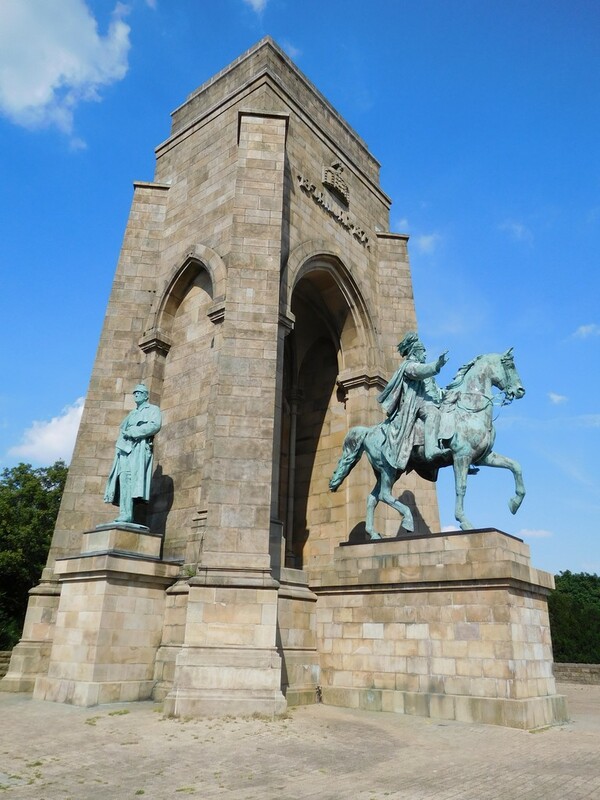 I also visited a magnificent memorial to “Kaiser Wilhelm” which is located close by. 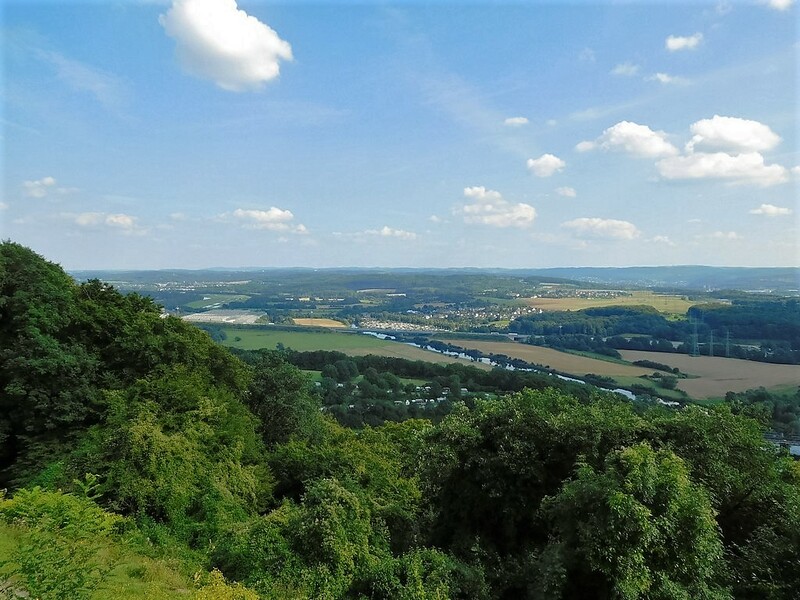 The area I visited is located on the hill Syberg which is also part of the Ardey Hills and surrounded by the natural reserve called “Ruhrsteilhänge“. 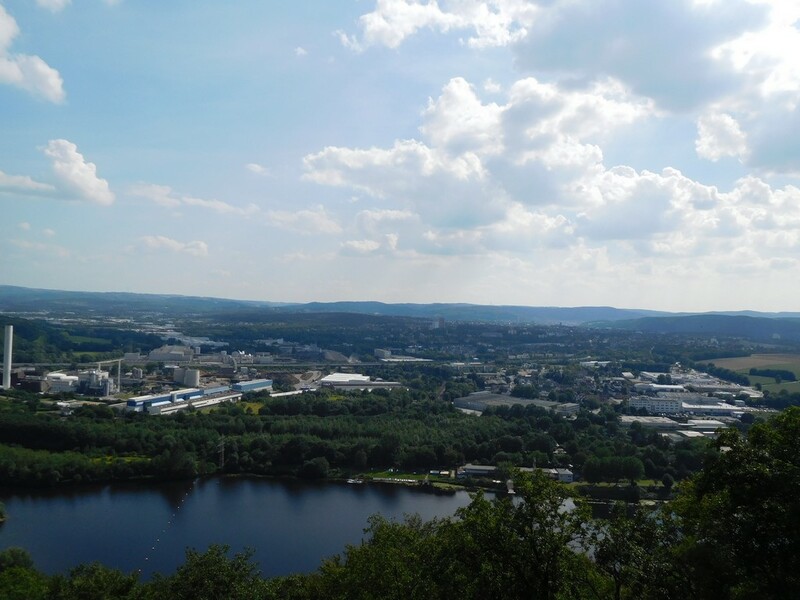 The hills go along the rivers “Ruhr” and “Lenne” which coalesce at the foot of the mountains in the reservoir “Hengsteysee“. As I wandered around the area I took some photos of these sights and also documented an unexpected encounter. Enjoy. 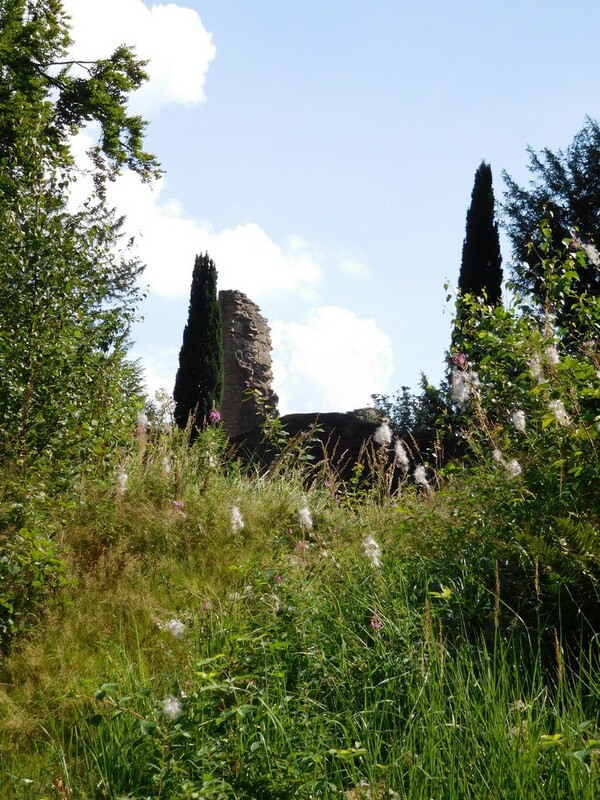 As I approached the castle ruins, this was my perspective. As you can see, the weather was great. It was also quite hot. 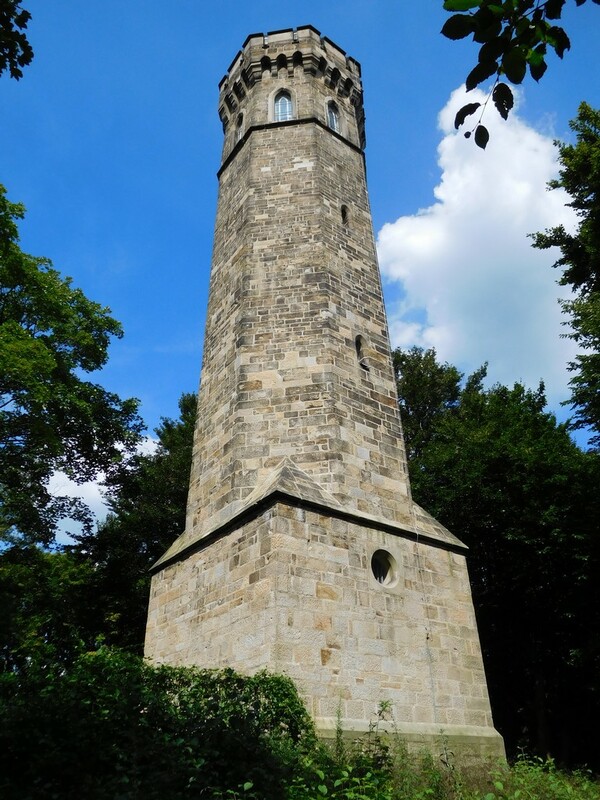 This is the “Vincketurm“. 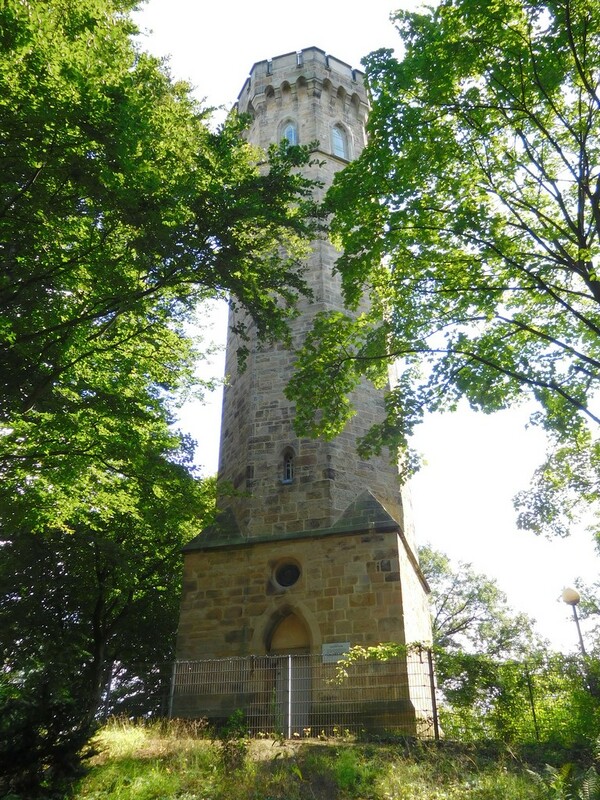 It was built on the summit of the Syberg as a memorial to Ludwig von Vincke, former governer of Westphalia, in 1857. It’s 26m high. Enjoy another perspective. I like the blue shade of the sky. 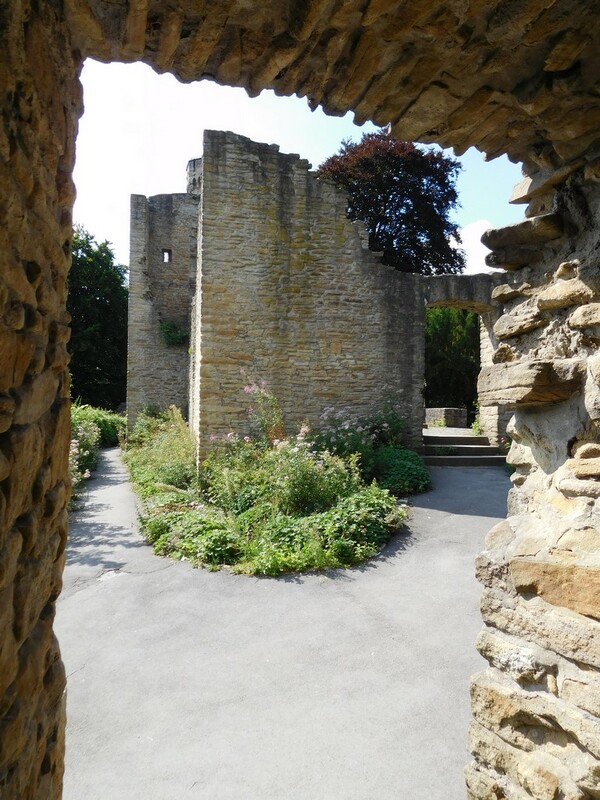 This is the front view of a tower of the castle ruin. 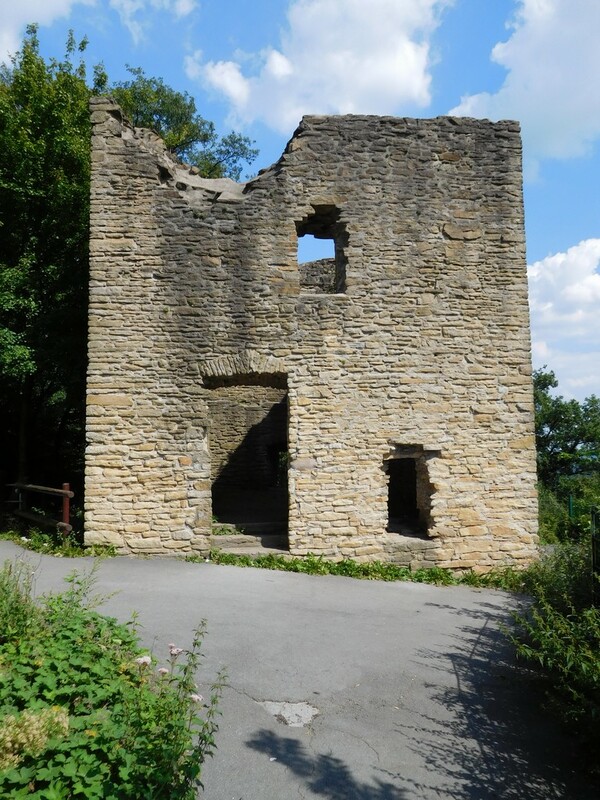 The Syburg was built in 1150 by the Roman Catholic Archdiocese of Cologne. Let’s approach its palas. This is the castle’s palas. As you can see in the following picture, there’s a war memorial located at its core. Let’s approach the palas from another perspective. The palas is not in the best state, that’s for sure. Let’s take a closer look at the war memorial. 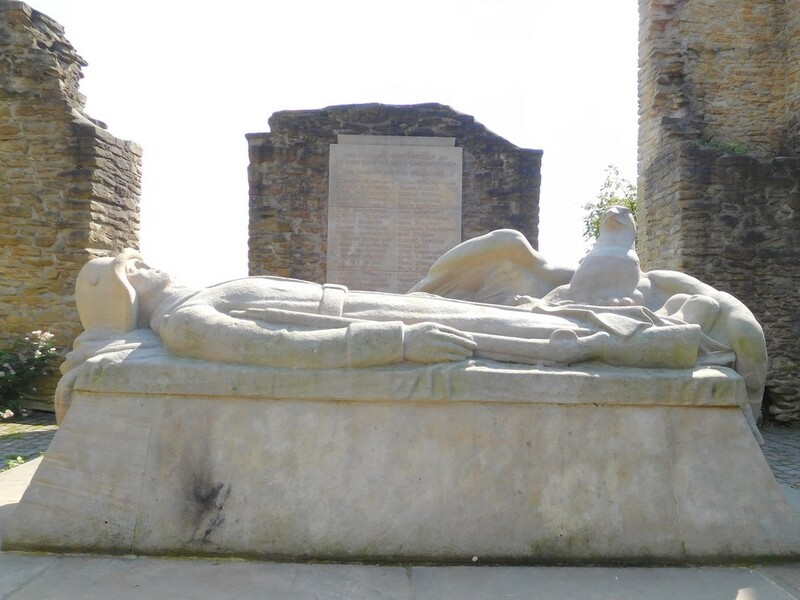 This figure represents a fallen German, or Syburgian, soldier who died during the first world war. 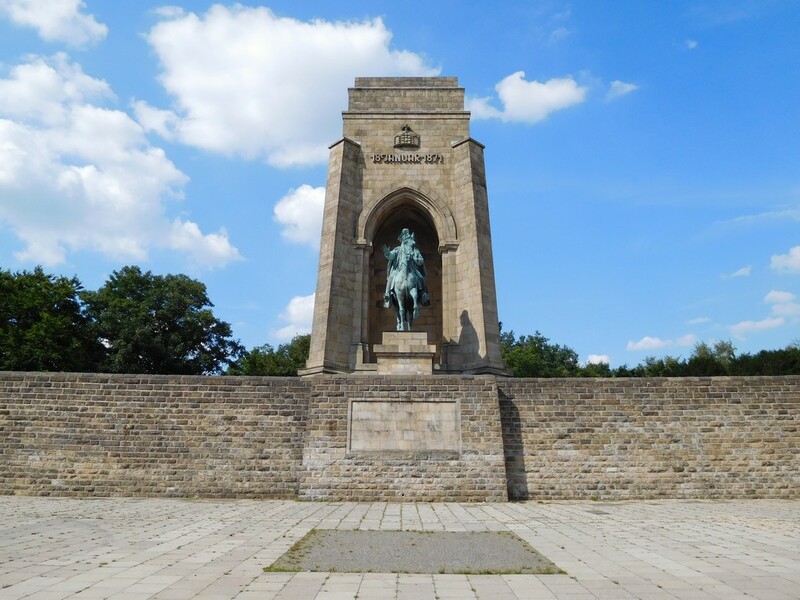 The memorial was scuplted by artist “Friedrich Bagdons” in 1930. There are also three stone boards featuring the names of fallen soldiers from Syburg next to the figure. Let’s zoom in. As I stepped out of the ruins I met this guy! 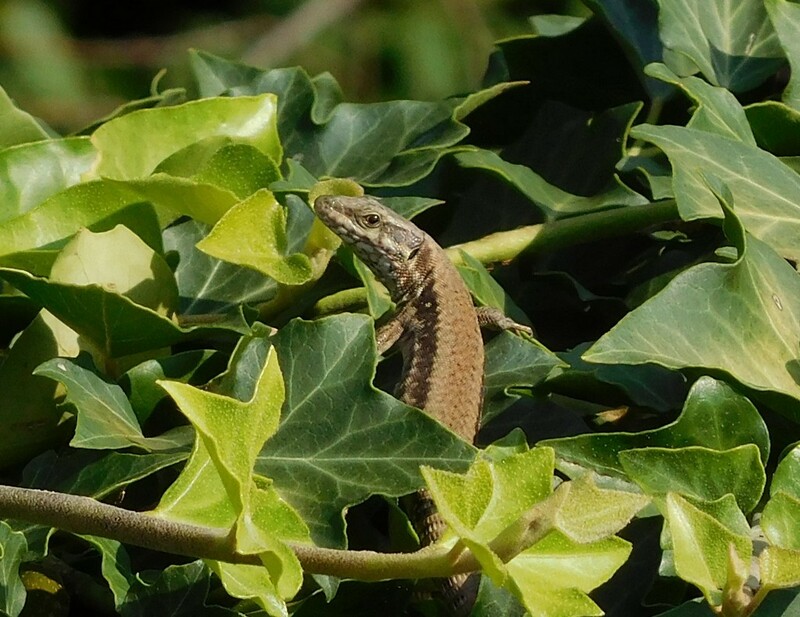 This is a European wall lizard, and these are very rare in Germany and belong to the red list of endangered species. They are also quite shy, so it’s a very lucky snapshot! 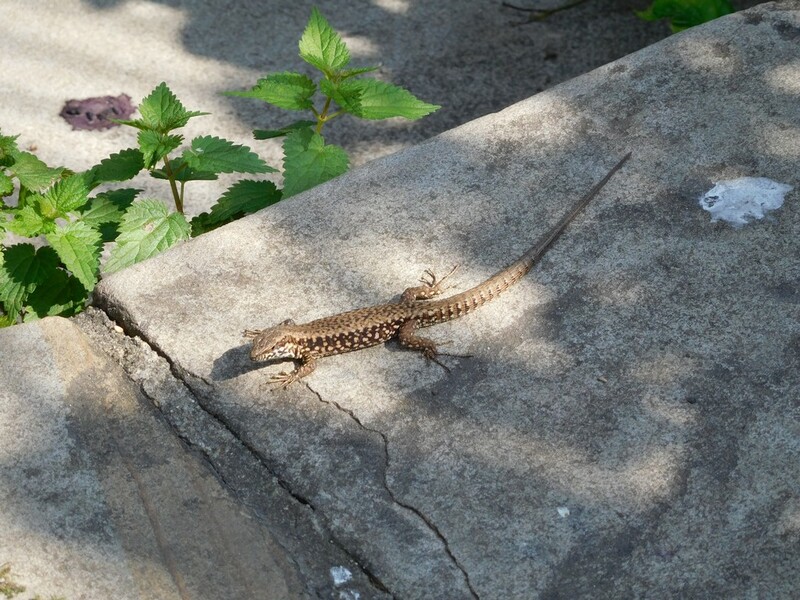 This one is, in fact, a fairly big specimen, given they are usually ~15-25cm long, including the tail. This one is easily 25-30 cm. 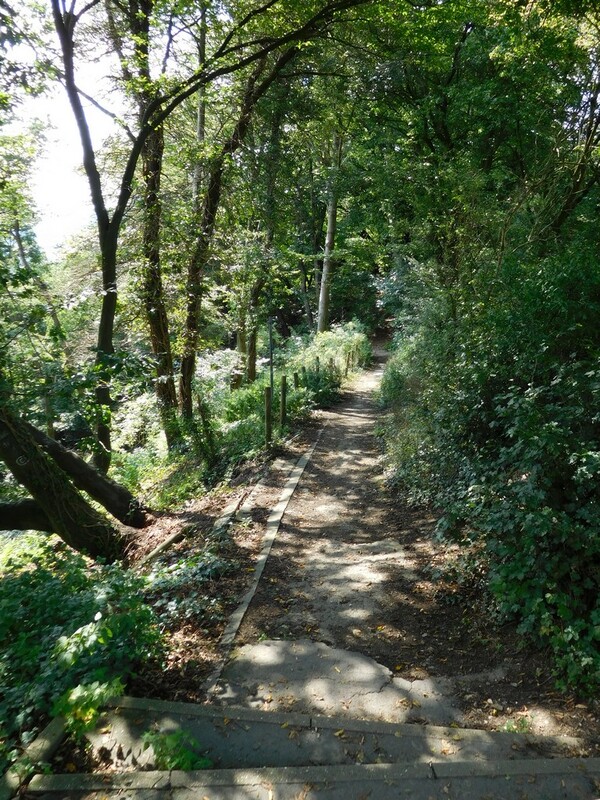 Let’s take this awesome trail and look for the memorial to Kaiser Wilhelm. Wow. What an amazing sight. Let’s move around it. 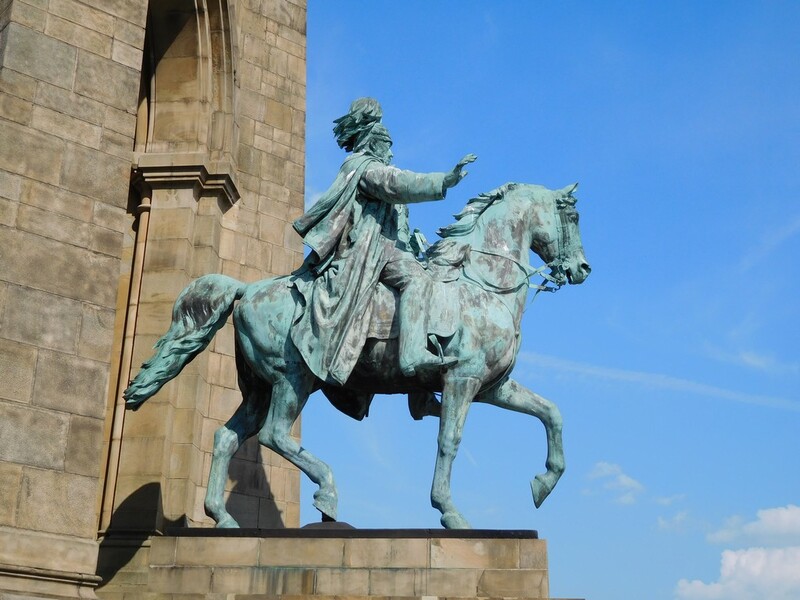 As a kid I was totally astonished by those huge metal figures, especially by the equestrian statue of Wilhelm. Let’s zoom into this one. What a nice profile shot showing the attention to detail. 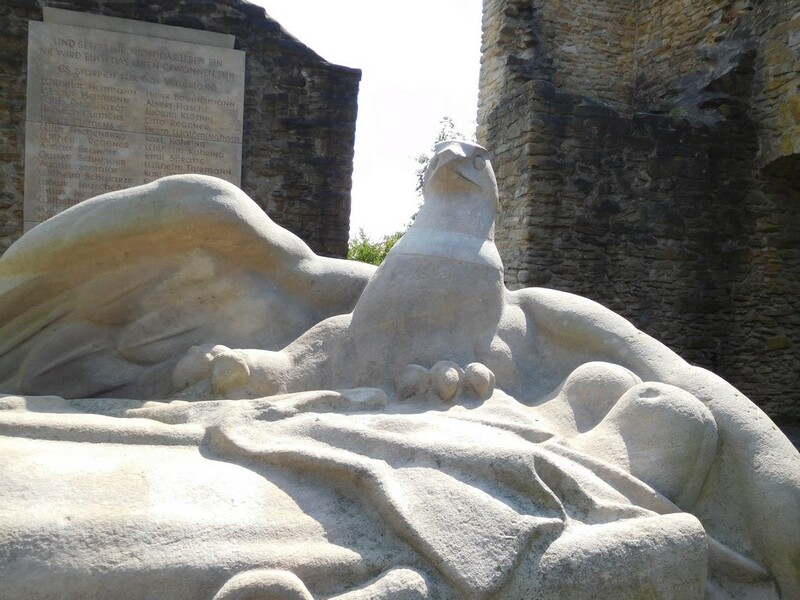 Again, it was Friedrich Bagons who made the architectural plans of this memorial, too. Great work. 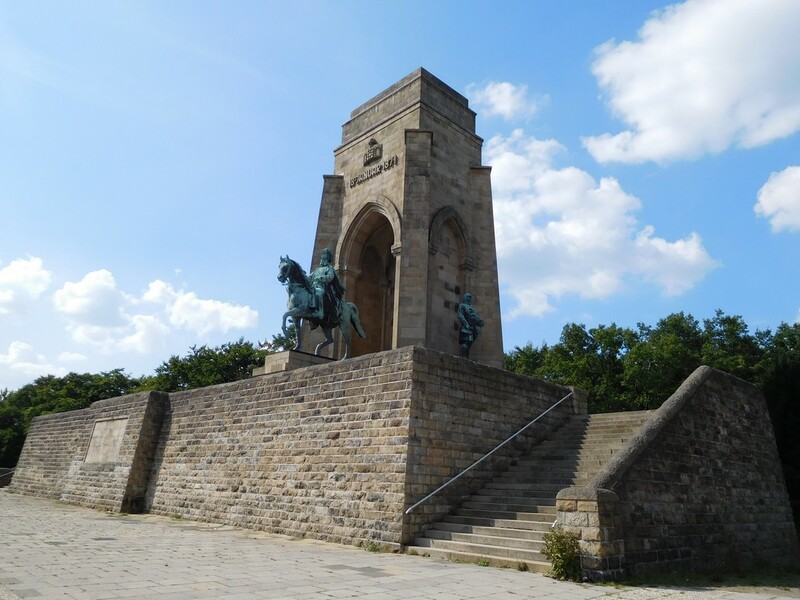 By the way, the memorial was built between 1893 and 1902. 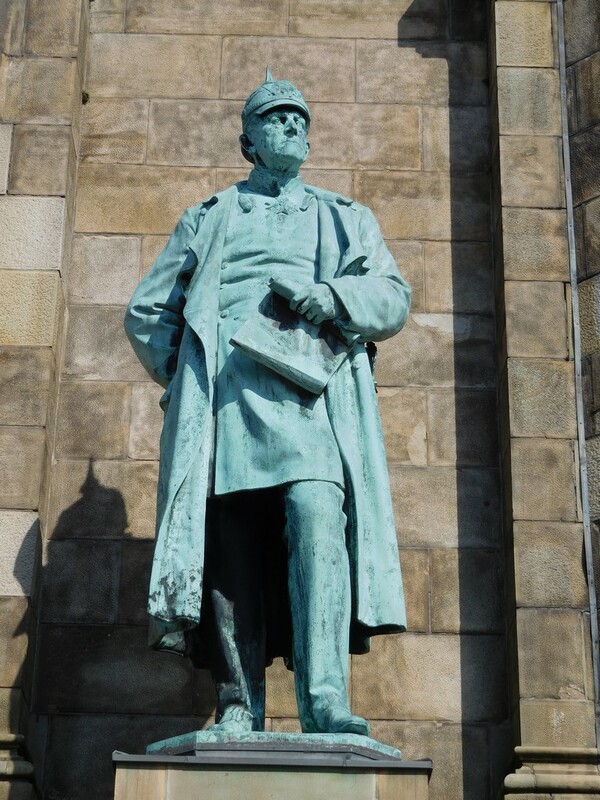 This is a sculpture of Helmuth von Moltke. 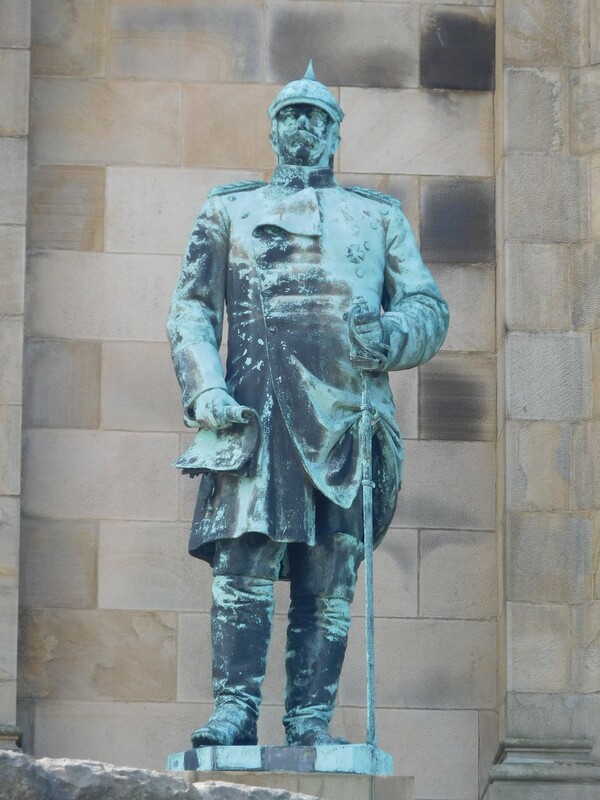 He was a German field marshall and lead the Prussian army for more than 30 years. Let’s check out that other guy on the other side of the memorial. This is Otto von Bismarck. 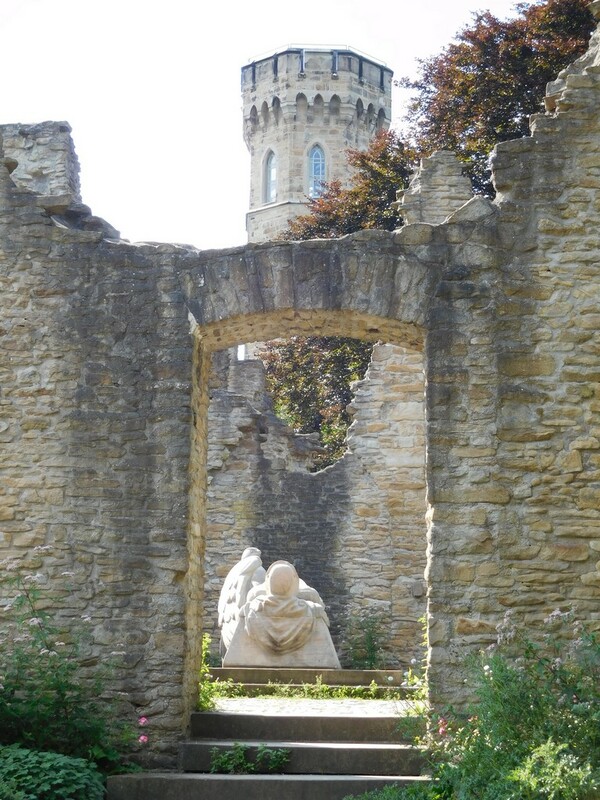 Some of you might have read my other entry on the the Chancellor Bismarck memorial in Bochum. If not, check it out; the pictures are worth it. 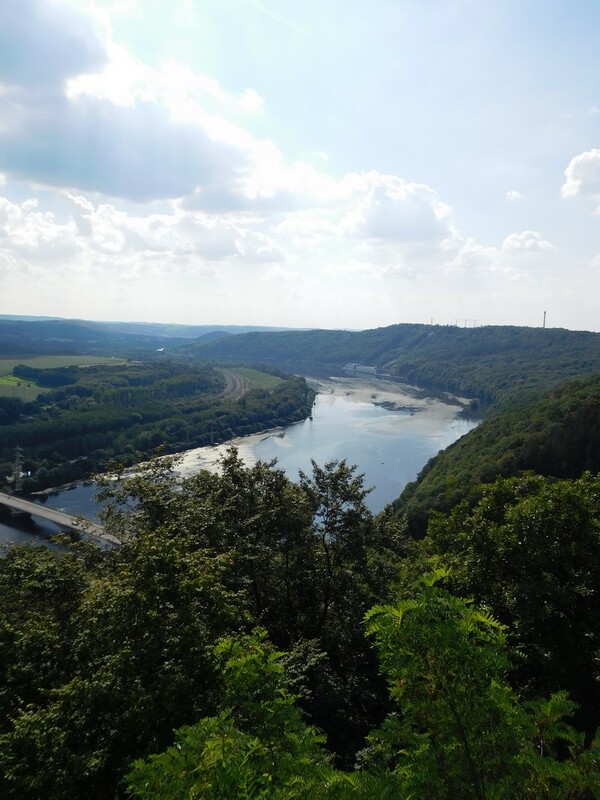 However, the memorial isn’t the only great sight there; it’s time to enjoy the amazing outlook! Breathtaking view, isn’t it? Let’s take a final look to the other side. There you can see part of the Ardey Hills. 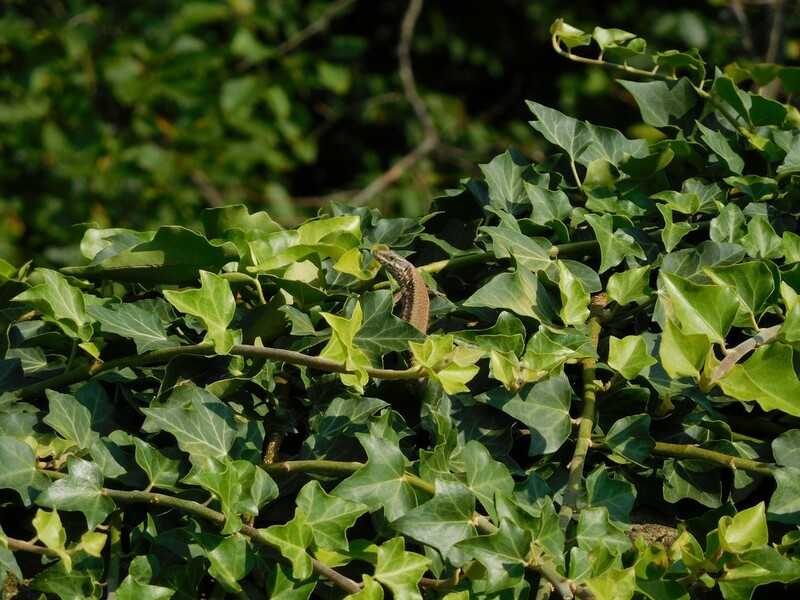 Well, when I prepared to leave the site, I noticed another lizard chilling on the warm walls, hidden between ivy. So I took a snapshot which turned out to be one of my favorite pictures. Can you spot him? Well, let’s zoom in. Is it only me, or is this photogenic guy fully aware of his role and posing for the camera? That look over the “shoulder” is definitely model tier. I hope you enjoyed the pictures, feel free to leave some feedback. Wenn ich deinen Blog so durchschaue & deine letztens Posts, hast du ja echt schöne Ecken in deiner Nähe, die du da besuchst. Ja, da kann ich mitreden … Nehme mir schon seit Längerem vor, mal auf einen Berg zu wandern & dort zu fotografieren, unter anderem bei Sonnenuntergang oder -aufgang. Aber die Klausuren lassen es derzeit auch nicht zu.